What’s it like to hear “Stormy Weather” performed by Ethel Waters at the Cotton Club in 1920s Harlem or Cab Calloway belt out his classic “Minnie the Moocher”? Or perhaps listen to Billie Holiday as she sings at the Hot Shot Club? Or, how about swinging the night away at the Savoy Ballroom, the largest dance hall in Harlem, known for its rootin’-tootin’ root beers and best breakfasts in town? A new 3-D exhibit titled Harlem Renaissance, opening today at the Spady Cultural Heritage Museum in Delray Beach, and running through Nov. 3, makes all this possible. 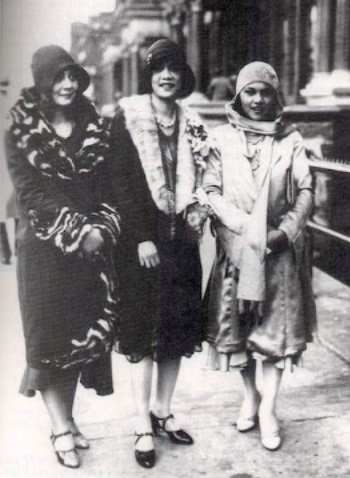 The Harlem Renaissance was an explosion of black intellectual, social, and artistic creativity beginning after World War I in the uptown Harlem neighborhood of New York City and lasting into the early 1930s. The exhibit, based on The Virtual Harlem Project created by Bryan Carter, an associate professor of Africana Studies at the University of Arizona, originally conceived in 1998, highlights the era in which African-American artists including Jacob Lawrence, Romare Bearden, Hale Woodruff, Charles Alston and Elizabeth Catlett rose to prominence. The exhibit also highlights influential personalities from Florida who migrated north and contributed to the Renaissance, including artist Augusta Savage, poet James Weldon Johnson and writer Zora Neale Hurston. Farrington notes Hurston’s work is still timely. Her book Barracoon, published this year, almost a century after she wrote it and 58 years after her death, recounts the true story of Cudjo Lewis, the last surviving African slave captured from his village in Africa and brought in shackles to the American South. 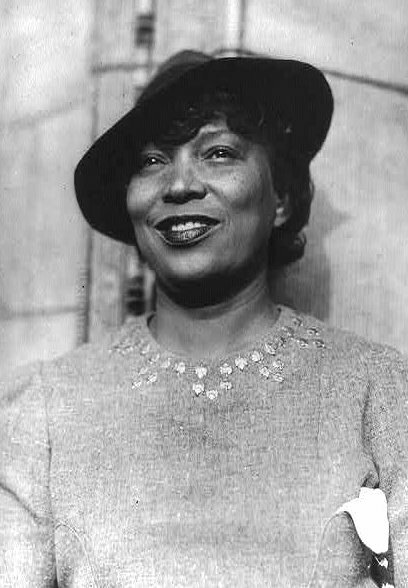 Hurston spent her final years in Fort Pierce, where her home is a national landmark and where she is buried. The goal of the project is to combine digital humanities and technological innovation to educate, inform and excite visitors. Technically, the digital project has evolved since its inception in the 1990s, as technology has advanced and now visitors can wear ocular goggles to enter a virtual Harlem, allowing them a peek back in time to when Marcus Garvey and Langston Hughes held court, Jelly Roll Morton headlined at the Nest Club and Fats Waller took top bill at the Apollo. The technology allows for a visceral sensory experience, enabling visitors to hear the music at the Apollo or sense the environment and garner a realistic experience of what it might have been like to stroll down 125th Street and encounter the renowned Apollo Theatre, the Cotton Club, the Savoy Ballroom, the Abyssinian Baptist Church and the Harlem Branch of the New York Public Library, among others. Hughes, the embodiment of the Harlem Renaissance, was a poet, novelist, and playwright who wrote about African-American lives and aspirations and is credited with experimenting with jazz poetry – utilizing syncopated rhythms and repetitive phrasing in his poetry, mimicking that of jazz and blues music. Stewart’s performance sheds light onto Hughes’ life, sense of duty and humor and illuminates the sensitivities and circumstances of African-American life during that era. 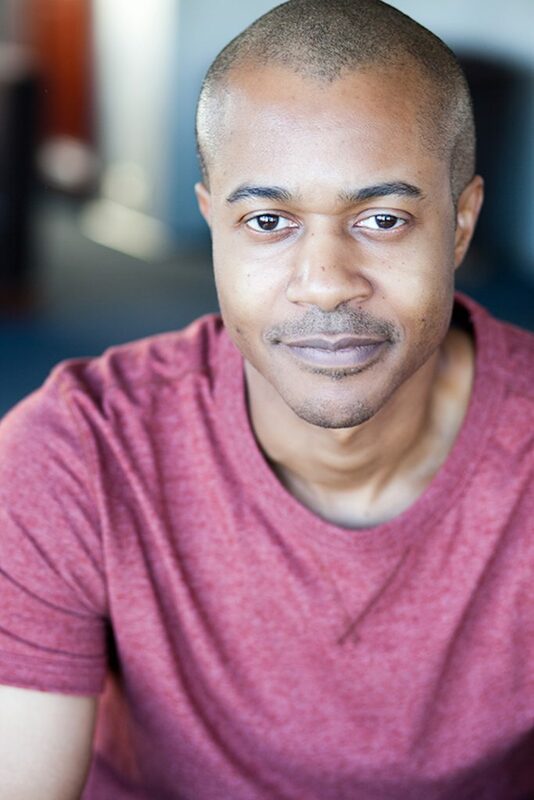 Stewart, who was bitten by the acting bug after watching a play his older brother Dario directed at the University of South Carolina, answered a casting call for Lorraine Hansberrry’s play, Raisin in the Sun, and got the part of George Murchison. While living in Washington, D.C, before he became a union actor, Stewart would ride the Peter Pan Bus at midnight, up to New York City to be first in line by 5 a.m. at the Equity Office in Times Square to audition for parts. Since then, he’s started a production company, produced a short film titled Public Pretender, and created an online romantic comedy series, Do I Have To? He appeared in the 2014 film, The Disappearance of Eleanor Rigby, with Jessica Chastain. 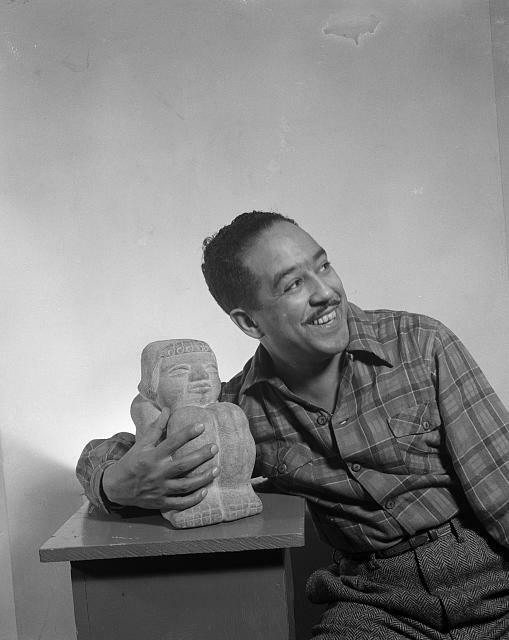 He was inspired to create the show about Langston Hughes after realizing that despite all Hughes’s accomplishments and contributions to the civil rights movement and to laying the foundation to hip-hop with his jazz poetry, that Hughes took a back seat to other more prominent figures such as Malcolm X and Martin Luther King. Stewart references Hughes’s poem “Theme for English B,” written in 1949, when Hughes was a college student at Columbia University in New York. The poem, written as part of a homework assignment, is a reflection on himself, as the only African-American student in his class and how he is similar and dissimilar to his classmates at the same time. “Hughes puts his ideas in simple terms that you can reflect on,” says Stewart. But many of his poems have a deeper meaning, connecting himself and his experiences to a larger, historical world, putting his own cultural sensibilities into a broader context. To get into character, Stewart says he goes into “zero dark 30 mode,” about three weeks before the show. “I live and breathe Langston,” he says. He prepares, he says, the way Michael Jordan prepared for his games – intensely. He watches clips of him, reads his poetry and gets into the script. “As many times as I’ve performed this show, I always discover new layers of Langston Hughes,” Stewart says. He has been fortunate to meet a number of Hughes’s relatives and friends, including jazz legend Randy Weston (who died in August), who fused American jazz with African rhythms and traveled with Hughes to Africa. Hughes wrote the lyrics and liner notes to Weston’s 1960 album, Uhuru Afrika, (Freedom Africa) and Weston’s composition, “Blues for Langston Hughes,” was written and dedicated to Hughes on what would have been his 100th birthday in 2001. Stewart has performed this show around the country and in numerous schools. Harlem Renaissance runs through Nov. 3 at the S.D. Spady Cultural Heritage Museum, 170 N.W. 5th Ave., Delray Beach. Museum hours: 11 a.m.-4 p.m., Tuesday through Saturday. Closed Sunday and Monday. Admission: $10; members are free. For more information, call 561-279-8883 or visit spadymuseum.com. Soul of Langston will be performed at the museum at 6 p.m. Friday, Nov. 2. Cost: $15 in advance, $20 at the door. Playwright and performer Daron Stewart will be in Delray Beach Oct. 31 to Nov. 2, and will be available to conduct educational workshops on Oct. 31 and Nov. 1. Stewart created a teacher’s guide that will ensure a thorough understanding of Hughes, the man and the poet. Cost per workshop: $700. Workshops will be scheduled on a first-come-first-served basis. To schedule a workshop, please contact the Spady Museum.